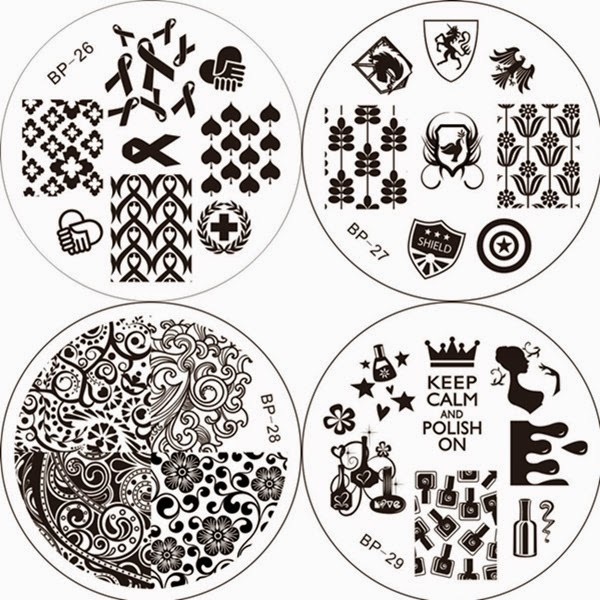 Lacquer Lockdown: Hot Off The Stamping Press: New Born Pretty Store Nail Art Stamping Plates! 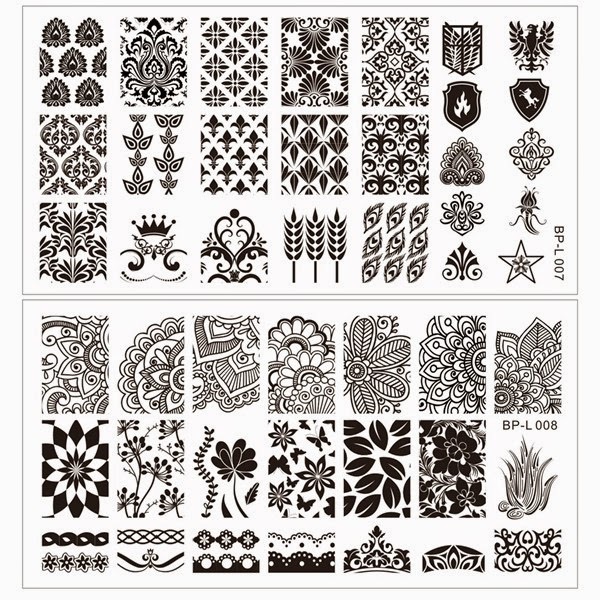 Hot Off The Stamping Press: New Born Pretty Store Nail Art Stamping Plates! We are literally drowning in new plate releases these days right? It's insane! All I can say is batten down the hatches darlings because a flash flood warning is in effect. 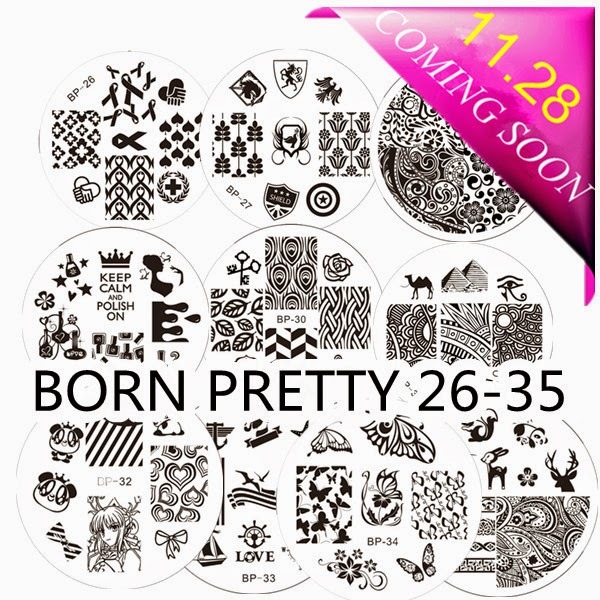 So you know I've had my share of problems with the Born Pretty Store plate releases. Often I cannot tell what is going on or afterward find out some information that was left out. This time I'm pretty certain I have the facts for Black Friday's release. If you follow me on Instagram you'd know I just received my order of BPS plates - my original and then my 2nd follow up order. I'd asked BPS to send me the revamped BP01-10 plates so that I could post a comprehensive comparison and review, but I don't have those. I'm thinking about just going ahead and reviewing what I've got at least the 2nd release of the BP plates and getting that up so my followers can have some reference upon which to judge the quality of these plates. If you're interested in that let me know in the comments below otherwise I'm gonna dive right in because these plates are epic level! Wow on first glance things are looking REAL good! 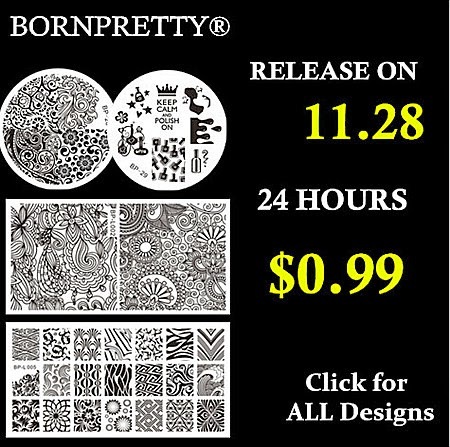 I'm a bit shocked with the speed at which Born Pretty is releasing plates but they are smart for capitalizing on a engaged audience and keeping the good stuff coming! Peacock feathers, Egypt and abstracts, an anime character I can't put my finger on, and the sea. Random. My favorite plate here is the nautical one. Truly unique and gorgeous images! I love these last two plates! Both are a breath of fresh air - breathe it in LOL! 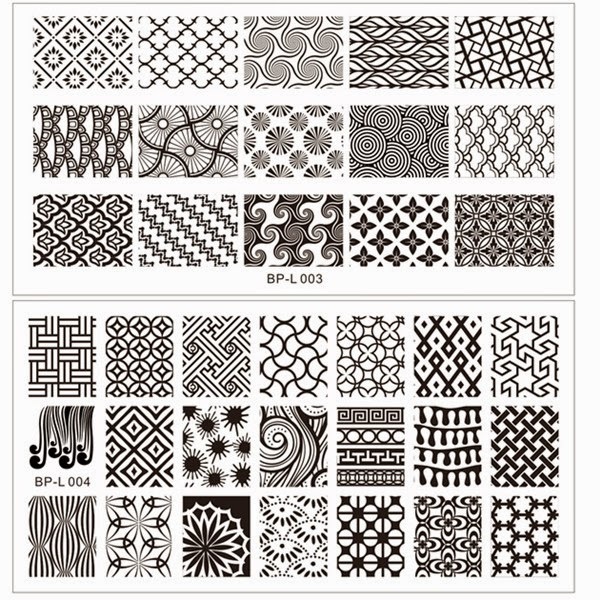 I love the top plate though some images feel familiar here to some abstracts from my Loja BBF plates. 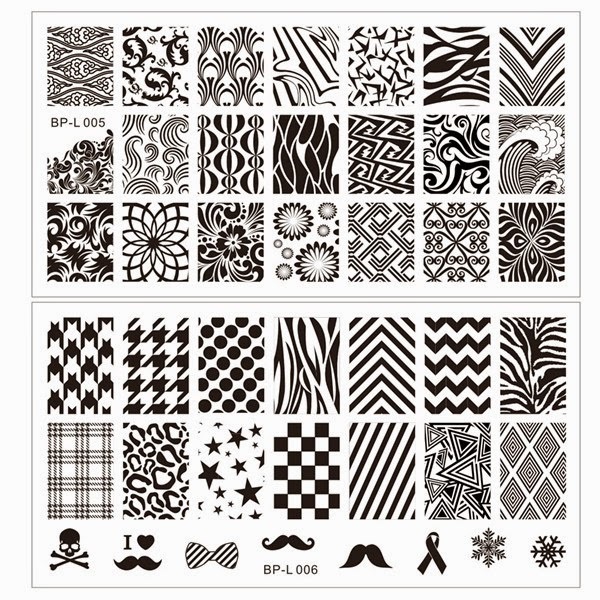 The bottom plate entire top row reminds me of the recently released plates from Marinane's Nails...Maybe these are more stock images I don't know but they are very similar if not exact replicas. However the two bottoms rows are this plates saving grace. I love all the florals there. What is exactly Seckill? Does it mean that you have only one second to click on the item to buy it? Do we have any idea of the sizes of the images on the rectangular plates? Nope or I would have posted it. 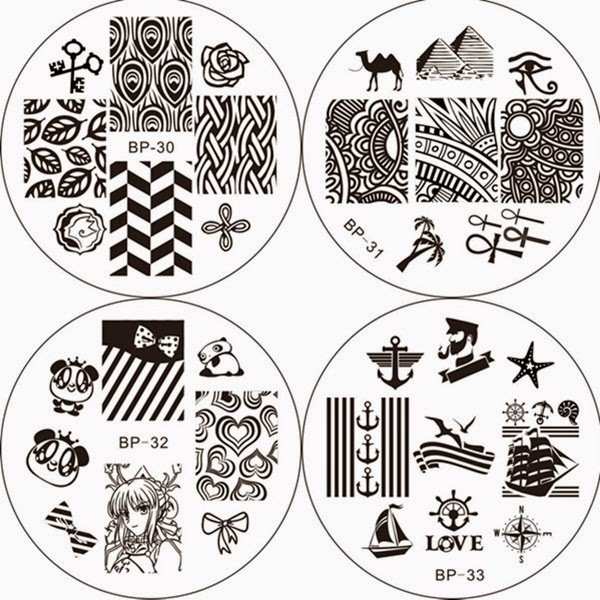 I'm sure by now though having learn their lesson with the smaller plates fiasco with the first release we can expect much larger images at least 1.5 x 2.0cm for these though you can always email BPS and inquire. Yup you pretty much got it. I think you have more than one second but given the limited number of items for each plate or whatever offered likely one or two seconds will be all you have to click an item before it sells out. 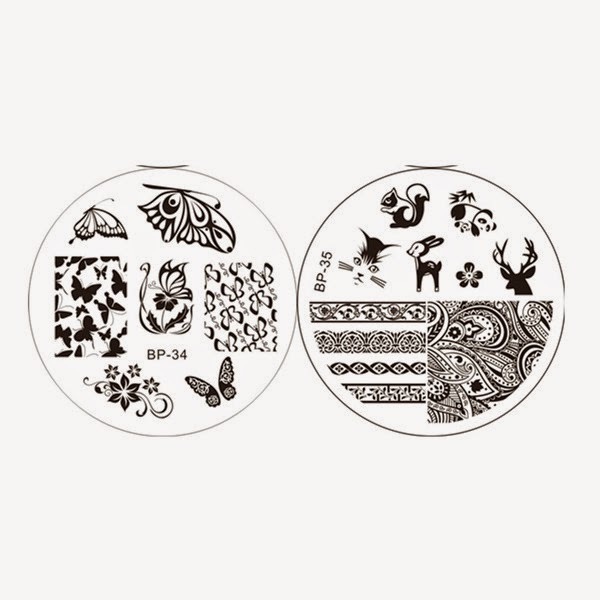 They posted the size of the plates and of the designs (the landscape ones) on the description box of the set. 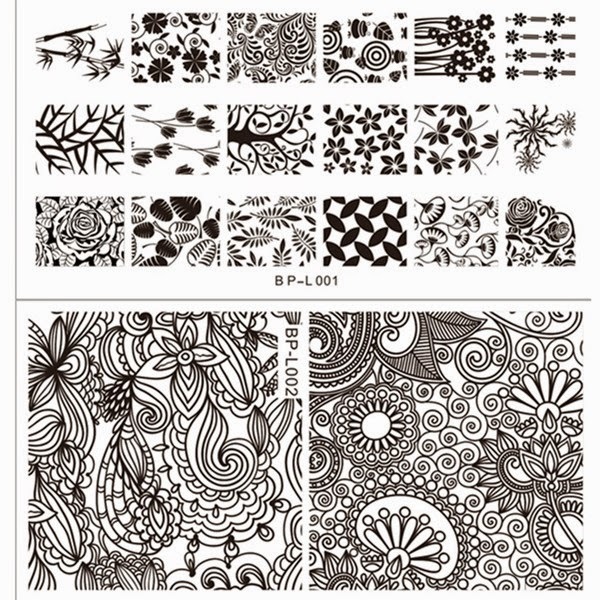 They are going to be 12.5 x 6.5 cm and the images are 15 x 22 mm (1.5 x 2.2 cm). If a chart I just saw is correct, the landscape ones are the same size, maybe a mm bigger, that the MoYou London XL plates. The images, I mean.